Greek literature refers to writings composed in areas of Greek influence, throughout the whole period in which the Greek-speaking people have existed. Ancient Greek literature refers to literature written in Ancient Greek from the oldest surviving written works until approximately the fifth century AD. This time period is divided into the Preclassical, Classical, Hellenistic, and Roman periods. 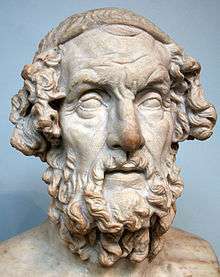 Preclassical Greek literature include the works of Homer; the Iliad and the Odyssey. The Classical period saw genres of western literature rise to prominence. The Classical era saw the dawn of drama and history. In the 4th century BC, three philosophers are notable: Socrates, Plato, and Aristotle. Greek poetry also flourished. During the Roman era, the physician Galen, in the history of ancient science, is the most significant person in medicine after Hippocrates. Byzantine literature refers to literature of the Byzantine Empire written in Atticizing, Medieval and early Modern Greek. Chronicles, distinct from historic, arose in this period. Encyclopedias also flourished in this period. Modern Greek literature refers to literature written in common Modern Greek. The Cretan Renaissance poem Erotokritos is the masterpiece of this early period of modern Greek literature. Much later, the Diafotismos movement transferred the European Enlightenment into the Greek world. Adamantios Korais and Rigas Feraios are two of the most notable figures. Ancient Greek literature refers to literature written in Ancient Greek from the oldest surviving written works in the Greek language until approximately the fifth century AD and the rise of the Byzantine Empire. The Greek language arose from the proto-Indo-European language, though roughly one-third of its words cannot be derived from various reconstructions of the tongue. A number of alphabets and syllabaries had been used to render Greek, but surviving Greek literature was written in a Phoenician-derived alphabet that arose primarily in Greek Ionia and was fully adopted by Athens by the fifth century BC. At the beginning of Greek literature stand the two monumental works of Homer, the Iliad and the Odyssey. Though dates of composition vary, these works were fixed around 800 BC or after. The other great poet of the preclassical period was Hesiod. His two surviving works are Works and Days and Theogony. Some ancients thought Homer and Hesiod roughly contemporaneous, even rivals in contests, but modern scholarship raises doubts on these issues. In the classical period many of the genres of western literature became more prominent. Lyrical poetry, odes, pastorals, elegies, epigrams; dramatic presentations of comedy and tragedy; histories, rhetorical treatises, philosophical dialectics, and philosophical treatises all arose in this period. As the genres evolved, various expectations arose, such that a particular poetic genre came to require the Doric or Lesbos dialect. The two major lyrical poets were Sappho and Pindar. The Classical era also saw the dawn of drama. Of the hundreds of tragedies written and performed during the classical age, only a limited number of plays by three authors have survived: Aeschylus, Sophocles, and Euripides. Like tragedy, the comedy arose from a ritual in honor of Dionysus, but in this case the plays were full of frank obscenity, abuse, and insult. The surviving plays by Aristophanes are a treasure trove of comic presentation. Two of the most influential historians who had yet lived flourished during Greece's classical age: Herodotus and Thucydides. A third historian, Xenophon, began his "Hellenica" where Thucydides ended his work about 411 BCE and carried his history to 362 BCE. The greatest prose achievement of the 4th century BCE was in philosophy. Among the tide of Greek philosophy, three names tower above the rest: Socrates —even though he did not write anything himself, Plato, and Aristotle. By 338 BC many of the key Greek cities had been conquered by Philip II of Macedon. Philip II's son Alexander extended his father's conquests greatly. The Greek colony of Alexandria in northern Egypt became, from the 3rd century BC, the outstanding center of Greek culture. Later Greek poetry flourished primarily in the 3rd century BC. The chief poets were Theocritus, Callimachus, and Apollonius of Rhodes. Theocritus, who lived from about 310 to 250 BC, was the creator of pastoral poetry, a type that the Roman Virgil mastered in his Eclogues. Drama was represented by the New Comedy, of which Menander was the principal exponent. 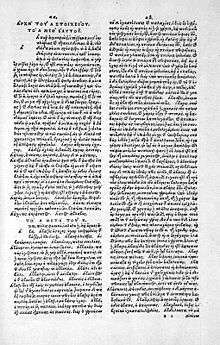 One of the most valuable contributions of the Hellenistic period was the translation of the Old Testament into Greek. The work was done at Alexandria and completed by the end of the 2nd century BC. The name Septuagint is from Latin septuaginta "seventy," from the tradition that there were 72 scholars who did the work. Significant historians of the period were Timaeus, Polybius, Diodorus Siculus, Dionysius of Halicarnassus, Appian of Alexandria, Arrian, and Plutarch. The period of time they cover extended from late in the 4th century BC to the 2nd century AD. Eratosthenes of Alexandria, who died about 194 BC, wrote on astronomy and geography, but his work is known mainly from later summaries. The philosopher and historian Strabo is mostly known for his main work Geographica. The physician Galen, in the history of ancient science, is the most significant person in medicine after Hippocrates, who had laid the foundation of medicine in the 5th century BC. The popular novel Daphnis and Chloe is the only known work of the 2nd century AD Greek novelist and romancer Longus. The New Testament, written by various authors in varying qualities of Koine Greek hails from this period (1st to early 2nd century AD), the most important works being the Gospels and the Epistles of Saint Paul. Patristic literature was written in the Hellenistic Greek of this period. Syria and Alexandria, especially, flourished. Byzantine literature refers to literature of the Byzantine Empire written in Atticizing, Medieval and early Modern Greek. If Byzantine literature is the expression of the intellectual life of the Byzantine Greeks during the Christian Middle Ages, then it is a multiform organism, combining Greek and Christian civilization on the common foundation of the Roman political system, set in the intellectual and ethnographic atmosphere of the Near East. Byzantine literature partakes of four different cultural elements: the Greek, the Christian, the Roman, and the Oriental, the character of which commingling with the rest. To Hellenistic intellectual culture and Roman governmental organization are added the emotional life of Christianity and the world of Oriental imagination, the last enveloping all the other three. Aside from personal correspondence, literature of this period was primarily written in the Atticizing style. Some early literature of this period was written in Latin; some of the works from the Latin Empire were written in French. Chronicles, distinct from historic, arose in this period. Encyclopedias also flourished in this period. 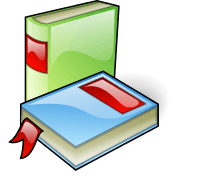 Modern Greek literature refers to literature written in common Modern Greek, emerging from late Byzantine times in the 11th century AD. During this period, spoken Greek became more prevalent in the written tradition, as demotic Greek came to be used more and more over the Attic idiom and the katharevousa reforms. The migration of Byzantine scholars and other émigrés from southern Italy and Byzantium during the decline of the Byzantine Empire (1203–1453) and mainly after the fall of Constantinople in 1453 until the 16th century, is considered by some scholars as key to the revival of Greek and Roman studies and subsequently in the development of the Renaissance humanism and science. These emigres were grammarians, humanists, poets, writers, printers, lecturers, musicians, astronomers, architects, academics, artists, scribes, philosophers, scientists, politicians and theologians. They brought to Western Europe the far greater preserved and accumulated knowledge of their own civilization. The Cretan Renaissance poem Erotokritos is undoubtedly the masterpiece of this early period of modern Greek literature, and represents one of its supreme achievements. It is a verse romance written around 1600 by Vitsentzos Kornaros (1553–1613). The other major representative of the Cretan literature was Georgios Chortatzis and his most notable work was Erofili. Other plays include The Sacrifice of Abraham by Kornaros, Panoria and Katsourbos by Chortatzis, King Rodolinos by Andreas Troilos, Stathis (comedy) and Voskopoula by unknown artists. Much later, Diafotismos was an ideological, philological, linguistic and philosophical movement among 18th century Greeks that translate the ideas and values of European Enlightenment into the Greek world. Adamantios Korais and Rigas Feraios are two of the most notable figures. 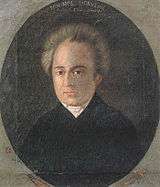 In 1819, Korakistika, written by Iakovakis Rizos Neroulos, was a lampoon against the Greek intellectual Adamantios Korais and his linguistic views, who favoured the use of a more conservative form of the Greek language, closer to the ancient. 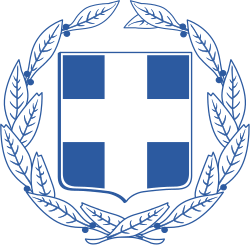 The years before the Greek Independence, the Ionian islands became the center of the Heptanese School (literature). Its main characteristics was the Italian influence, romanticism, nationalism and use of Demotic Greek. Notable representatives were Andreas Laskaratos, Andreas Kalvos, Aristotelis Valaoritis and Dionysios Solomos. Later the independence the intellectual center was transferred in Athens. A major figure of this new era was Kostis Palamas, considered "national poet" of Greece. He was the central figure of the Greek literary generation of the 1880s and one of the cofounders of the so-called New Athenian School (or Palamian School). Its main characteristic was the use of Demotic Greek. He was also the writer of the Olympic Hymn. 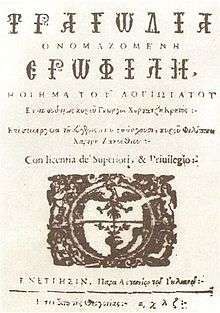 Modern Greek literature is usually (but not exclusively) written in polytonic orthography, though the monotonic orthography was made official in 1981 by Andreas Papandreou government. Modern Greek literature is represented by many writers, poets and novelists. Major representatives are Angelos Sikelianos, Emmanuel Rhoides, Athanasios Christopoulos, Kostis Palamas, Penelope Delta, Yannis Ritsos, Alexandros Papadiamantis, Nikos Kazantzakis, Andreas Embeirikos, Kostas Karyotakis, Gregorios Xenopoulos, Constantine P. Cavafy, Demetrius Vikelas, while George Seferis and Odysseas Elytis have been awarded the Nobel Prize in Literature. Other writers include Manolis Anagnostakis, Nicolas Calas, Kiki Dimoula, Maro Douka, Nikos Engonopoulos, Nikos Gatsos, Iakovos Kambanelis, Nikos Kavvadias, Andreas Karkavitsas, Kostas Krystallis, Dimitris Lyacos, Petros Markaris, Jean Moréas, Stratis Myrivilis, Dimitris Psathas, Ioannis Psycharis, Alexandros Rizos Rangavis, Miltos Sahtouris, Antonis Samarakis, Giannis Skarimpas, Dido Sotiriou, Alexandros Soutsos, Panagiotis Soutsos, Angelos Terzakis, Kostas Varnalis, Vassilis Vassilikos, Elias Venezis, Milo Yiannopoulos, and Nikephoros Vrettakos. ↑ Adapted from Karl Dieterich, "Byzantine Literature", Catholic Encyclopedia, 1911.